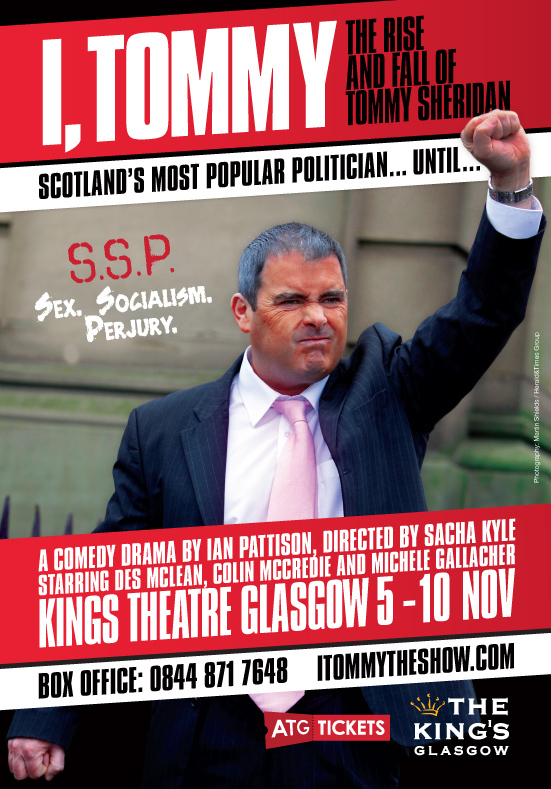 November 2012 and Des just completed the final leg of the “I, Tommy” tour at the Kings Theatre Glasgow. Des’ performance as the controversial politician was hailed by critics and leading actors. David Hayman on BBC 2 review show described McLeans performance as “Extraordinary”. © Des McLean 2016. All rights reserved. Photography by Paul Saunders.